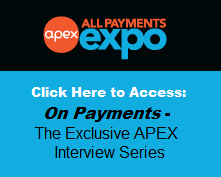 All Payments Expo is less than 3 weeks away, and attendees and speakers are already starting to cement their partnering plans for the event. 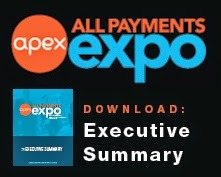 1) Market Size: All Payments Expo is home to 1,500+ players looking for partners, including card networks, processors, issuers/acquirers, retail banks, start-ups, new technologies and 300+ merchants. Register now and start messaging them immediately to book onsite meetings. 2) Interoperability: The future of payments relies on an interoperable infrastructure, which can only be achieved by leveraging partnerships with numerous stakeholders, including incumbents and newcomers fresh out of beta testing. 3) Investment Potential: Venture capitalists, banks and major corporations are all on the hunt for the next investment or acquisition. The potential licensing agreements, investments and acquisitions are why so many investors, banks and start-ups attend All Payments Expo. 4) More Merchants: Retailers will continue to play a hugely important role in emerging payments acceptance. Without a frictionless consumer experience and a strategic loyalty play, many new payments types won't find merchant acceptance -- or get off the ground. This is the only payments event with 300+ merchants in attendance. 5) The Future of FinTech: New non-bank companies are reinventing the ways consumers borrow, buy and bank. These newcomers often compete with hefty industry mainstays and grapple with uncertain regulations. With more than two days devoted to FinTech content, you'll meet new companies looking for scale and established firms looking to innovate quickly. Register now to make a big impact on your 2014 strategy.